Two FSU fans were the talk of Twitter Monday thanks to their Halloween costumed commentary on Florida State quarterback Jameis Winston’s criminal crab legs cravings. 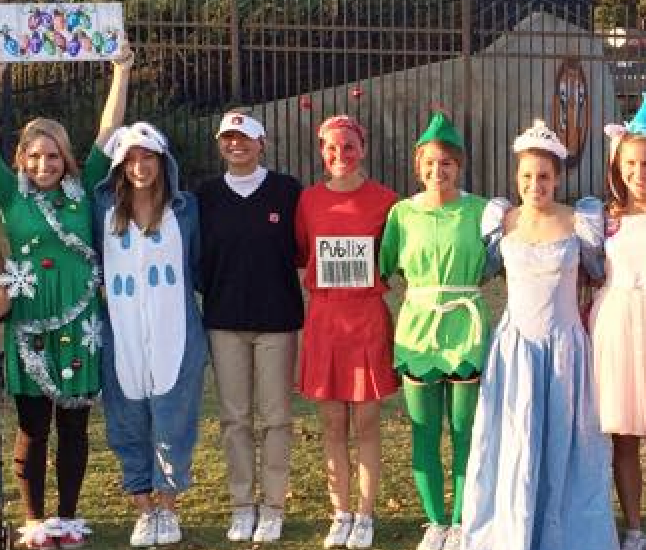 Looks like an Auburn cheerleader kind of had the same idea. 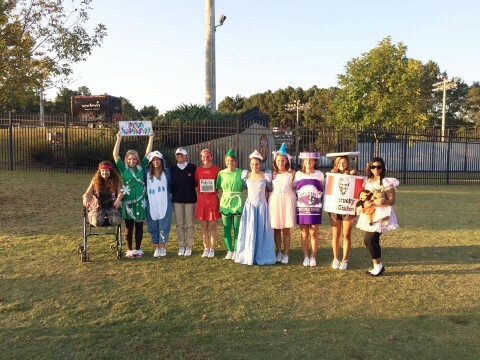 In addition to the princesses and Gus Malzahns, photos tweeted of a costume contest held Monday night at Auburn cheerleading practice include what appears to be a Publix crab leg costume. The contest was judged by star Auburn wide receiver Sammie Coates. Winners may be announced later this week. Related: Another Gus Malzahn Halloween costume.